The Refugees are Coming… Are we ready? Less than three weeks ago there was a collective exhale by Canadians as election results began to roll in from coast to coast to coast. It felt like a shrugging off of an old, too heavy winter coat as warm spring weather arrived. There was a sense of renewal; of possibilities. Almost a month since that fateful election night and the sense of optimism, of renewal, of change is still in the air. Visit www.cleo.on.ca to view Steps in a Family Law Case. OCASI offers assistance as a civil society partner to the new Government of Canada, to address government and sector priorities in immigration and refugee protection, immigrant settlement and refugee resettlement. Read more for OCASI letters to Prime Minister Trudeau and to John McCallum, Minister of Immigration, Refugees and Citizenship. OCASI Executive Director Debbie Douglas was interviewed on 'The Current' on CBC radio on Thursday November 12,2015, about how the immigrant and refugee-serving sector is preparing for the arrival of Syrian refugees. OCASI is on a search to identify regional Champions for our Positive Spaces Initiative (PSI)! A Champion is a person who is actively engaged in their community, working for the inclusion and human rights of LGBTQ+ immigrants and refugees. Ontario Association of Optometrists (OAO) program Eye See…Eye Learn® provides comprehensive eye exams, covered by OHIP, to Junior Kindergarten students across Ontario and free eyeglasses to children who need it. The program runs till June 30, 2016. Information is available in 16 languages. Hosted by Council of Agencies Serving South Asians (CASSA), the summit will focus on the experience of South Asians in Canada and a future plan to address community needs on themes: Health, Economic Justice, Immigration & Settlement, and Education. 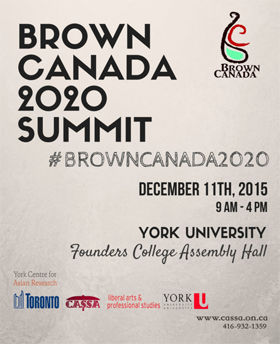 December 11, 2015 | 9am - 4pm | York University, Toronto. Peel Newcomer Strategy Group has developed a new online tool aimed to strengthen planning and outreach through data. 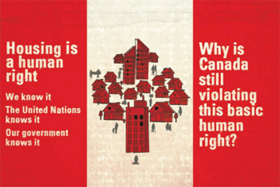 The new national Coalition for Migrant Workers Rights - Canada (CMWRC) was launched on October 27. The Coalition launched MoVE, a campaign for Mobility, Voice and Equality for migrant workers, to call for permanent immigration status on arrival. An informative and interactive Forum by Rights of Non-Status Women Network, to learn about detention and deportation. Thursday November 19th from 2-5pm at the Factor-Inwentash School of Social Work, University of Toronto, @ 246 Bloor St W (Near St. George Subway Station). Non-student cost $5.